First, love is a decision and marriage offers you the opportunity to make that decision everyday. 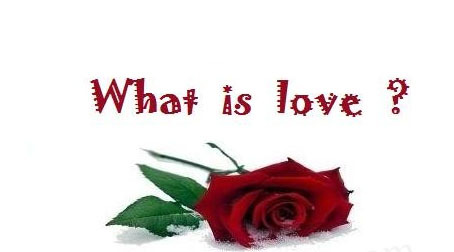 In the book, “The Art of Loving”, Eric Fromm says that the modern culture solves the problem of love by asking the wrong question, “How can I be loved?” We have become consumers of love and use beauty and financial success to get more of it. Rather than asking, ” How can I be loving?” Imagine the transformative nature of asking and answering that question each day…No one is perfect, we all need to work at love. But there is only one person who you can change and that person is YOU. Secondly, we are looking for love in all the wrong places. We will not discover the mystery of love and marriage on TV or at the movies, or in books, magazines or songs. Love and marriage is revealed to us in the greatest love story ever written, The Bible. 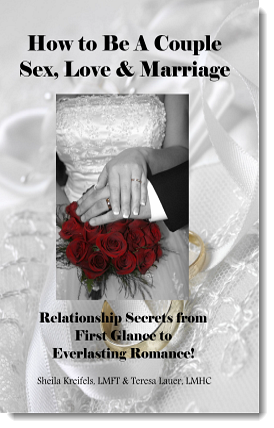 It is the best “how to” book on love and marriage. God’s design is brilliant and purposeful. He knew that marital love would transform us. We are made to yearn for that transformation, to love like He does. No easy feat I know, but look around, you will find this kind of love. I love to look for it. I met a couple in a nursing home. The husband was only 70 years old and was struck down by Alzheimer’s, unable to walk or talk. His wife told me that she comes to the hospital everyday at 7am just as his eyes open and stays until 7pm when his eyes close. She had such joy, I had to ask how. She told me that her husband gave her and their 6 children a fabulous life and then she added, “When you have been loved like I have been loved, it’s a joy.” This woman was laying down her life for her husband the same way that Jesus laid down His life for us. Her story changed me. I read the other day that 4 in 10 Americans believe that marriage is obsolete, or no longer relevant. Imagine that God’s design for love and marriage is no longer relevant. I guess that will put me out of a job! But the truth is, marital love is more relevant today than it has ever been. If the marriage goes, so goes the society. Keep love and marriage alive and relevant in your life by making everyday Valentine’s Day!